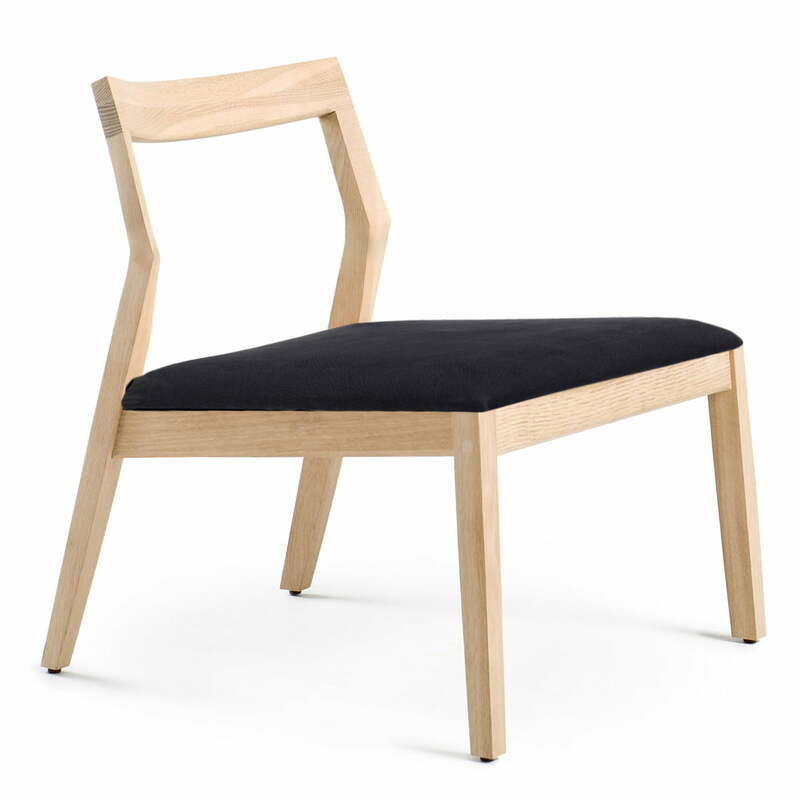 The Lounge Chair by Marc Krusin is an example for straight-lined aesthetics. With his collection for Knoll, the London product designer created furniture that are connectable with the most different furnishings. The Krusin collection includes side chairs and casual lounge chairs as well as couch and side tables for private offices, living and reception areas. The Krusin collection keeps a simple linear form thanks to its inherent and appealing visual stillness, being connected to other design styles with these qualities. Clear lines and a large selection of natural woods with matt or polished high gloss lacquers make it possible to insert these tables and chairs into every surrounding. The seat height of 41 cm and the support for legs of 66 cm make the Lounge Chair a relaxing company at home or in the office. It possesses an extremely clear design thanks to the classic silhouette connected with minimal material usage. The Lounge Chair by Marc Krusin is also available in further editions. Characteristics: The Marc Krusin seat furniture collection includes a chair with and without armrests and a lounge chair with and without armrests. All editions are available with frames in different materials: natural oak wood, blackened oak wood, walnut and also in a black, white or blue edition. Parts: Frame out of different hard woods, steam-bent backrest. Seat out of polyurethane, synthetic pads. Surface: Upholstery out of different fabrics, leathers or braided cane.